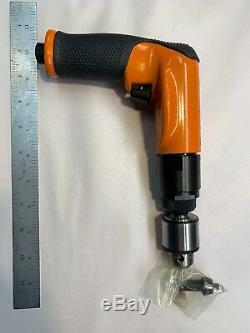 DOTCO 14CSL97-51 Pistol Grip Pneumatic Drill 14CS Series, Non-Reversible, 3/8'' Chuck. 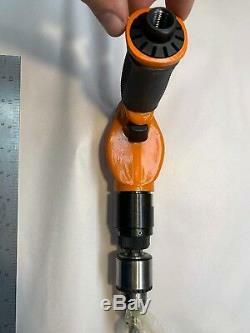 Dotco 14CS Series Non-Reversible Pistol Grip Pneumatic Drill. 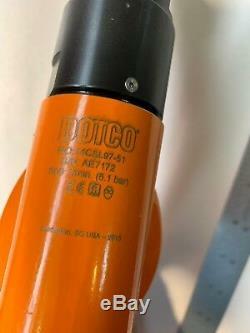 DOTCO 14CS Series Pistol Grip Pneumatic Drills, Non-Reversible are equipped with Jacobs chucks and chuck keys. DOTCO 14CS Series Pistol Grip Pneumatic Drills, Non-Reversible feature ergonomical finger and thumb guides for the hand to aid in control. 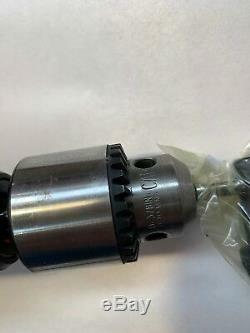 DOTCO 14CS Series Pistol Grip Pneumatic Drills, Non-Reversible work excellently for applications in aerospace, metal fabrication, and wood working. 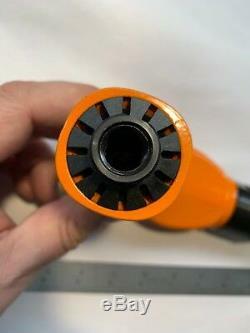 DOTCO 14CS Series Pistol Grip Pneumatic Drills, Non-Reversible are designed with the operator in mind. They are small, lightweight and comfortable to use, and don't sacrifice durability. They incorporate elastomer coatings, and perfectly balanced moving parts to keep vibration to a minimum. This optimal combination of tool characteristics allows the operator to focus doing the best job possible, in the least amount of time. DOTCO 14CS Series Pistol Grip Pneumatic Drills, Non-Reversible meet the demanding requirements of industries including shipbuilding, pipe fabricating, transportation equipment manufacturing, and welding applications. 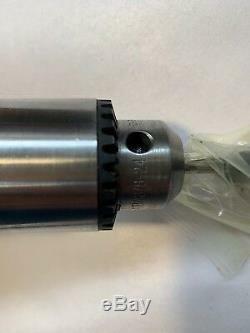 Since these types of applications typically require a high material removal rate, DOTCO Drills incorporate high horsepower/high RPM motors. 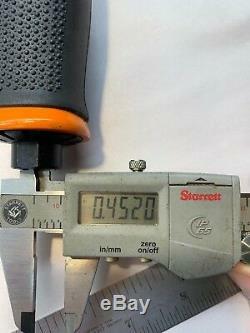 Overall Length: 8.1''/206mm. 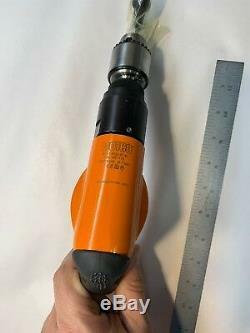 The item "$1,400 Dotco Pistol Grip Air Pneumatic Drill I 14CFL94-51 2400 RPM E20" is in sale since Sunday, November 11, 2018. 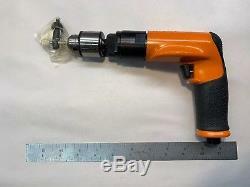 This item is in the category "Business & Industrial\Light Equipment & Tools\Air Tools\Pneumatic Drills". The seller is "chriscolumbus" and is located in Nashville, Tennessee. This item can be shipped to United States, Canada, United Kingdom, Denmark, Romania, Slovakia, Bulgaria, Czech republic, Finland, Hungary, Latvia, Lithuania, Malta, Estonia, Australia, Greece, Portugal, Cyprus, Slovenia, Japan, China, Sweden, South Korea, Indonesia, Taiwan, Thailand, Belgium, France, Hong Kong, Ireland, Netherlands, Poland, Spain, Italy, Germany, Austria, Bahamas, Israel, Mexico, New Zealand, Philippines, Singapore, Switzerland, Norway, Saudi arabia, Ukraine, United arab emirates, Qatar, Kuwait, Bahrain, Croatia, Malaysia, Chile, Colombia, Costa rica, Panama, Trinidad and tobago, Guatemala, Honduras, Jamaica, Viet nam, Uruguay.